Lois has strong leadership skills in the public domain and in giving back to the broader community. She brings her leadership as a seasoned administrator and now consultant in the Massachusetts Higher Education system to our organization, as well as history as past President of the National Community College Council for Research and Planning. Coupled with her Ed.D. 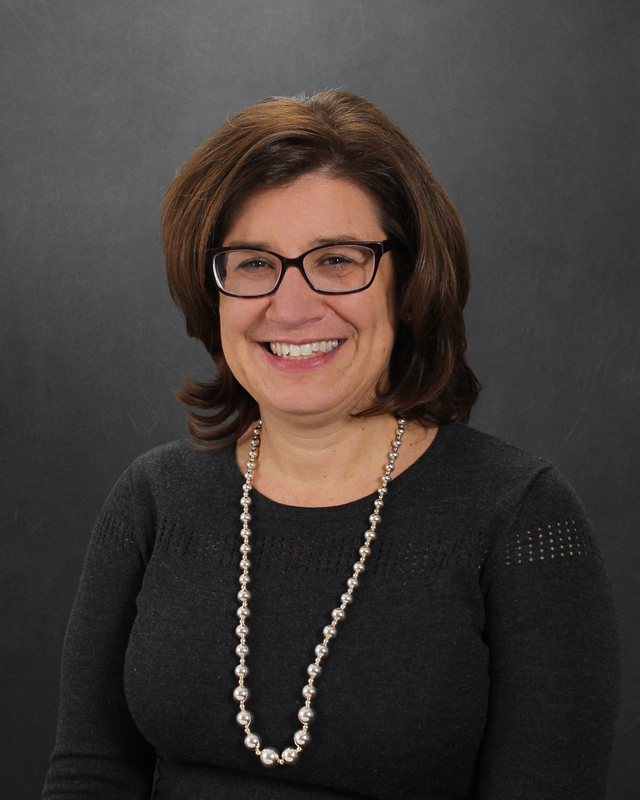 from the University of Massachusetts, Amherst, Lois has experience in management of large organizations and delivery of services to the targeted needs of smaller departments and individuals. Lois’s strong background keeps the Board connected to the larger community through her civic work. 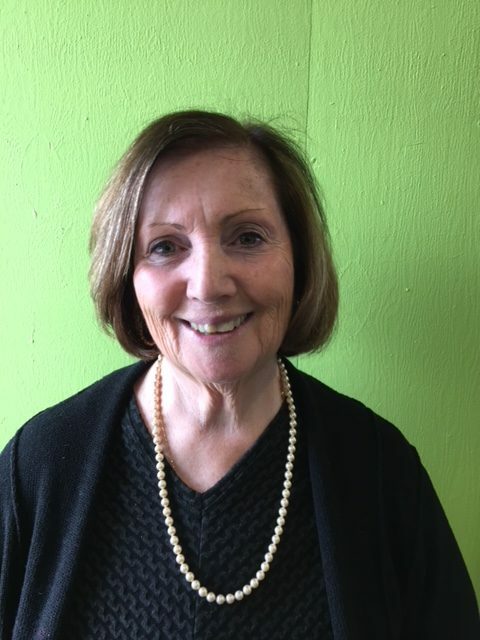 She has chaired the Chelmsford Cultural Council for nine years and has been a member of the Cultural Partnership and the Friends of the Library. Additionally, she serves on the Middlesex Community College Foundation Board, where she was awarded Vice President Emeritus Status in 2013. Judy became aware of the Power of Flowers Project when she was a member of the Executive Board of Directors of the Greater Lowell Chamber of Commerce and the Greater Lowell Workforce Investment Board. She is a team oriented and intuitive leader as a higher education administrator with an extensive background in corporate contract management, development, and negotiation, with direct experience in sales, marketing, workforce development, and corporate and community partnerships. All of these skills contribute to the vitality of the Power of Flowers Project. Judy currently serves as Dean of Corporate and Community Education and Training at Middlesex Community College. Prior to that, Judy obtained her M.Ed. degree and was a contract administrator in the Patriot Missile Program at Raytheon. She serves on numerous other boards, among them Girls, Inc., the Y.W.C.A., The New England Workforce Network, and the Massachusetts Technology Collaborative. Co-workers describe Gayle as having a tireless work ethic, a big heart, true passion for event planning, dedication to the highest standards of excellence, and a deep commitment to customer service. All of this complements her active Board participation. After attending Springfield College, Gayle worked in community relations at Lowell General Hospital and then joined the Enterprise Bank, working in communications and marketing. She was promoted to the position of Assistant Vice President, Event Specialist and states her true passion is in Events Management and Planning. She coordinates and oversees more than 60 bank functions yearly. Gayle also actively participates in non-profit organizations events as a representative of the bank, such as the Lowell Sun Charities and Lowell General Hospital’s Teamwalk for CancerCare. She has donated her time, energy, and services to many local and non-profit events such as the Clean Up Our Beaches Project and the annual Seafood Festival in her hometown of Hampton, N.H.
Linda’s diverse background includes a long career as an attorney in Lexington as well as work in the field of education. The Power of Flowers Project mission resonates for her. Linda believes there is no downside to giving beautiful flowers a second life, saving them from landfills and, at the same time, and bringing bouquets of joy to isolated, lonely and ill seniors. Linda provides the objective, long view goal approach that the organization thrives on. She has been working to establish a reliable revenue stream, build a strong board, document policies and procedures, and create the framework for sustainability for our organization. Besides holding both J.D. and M.Ed. 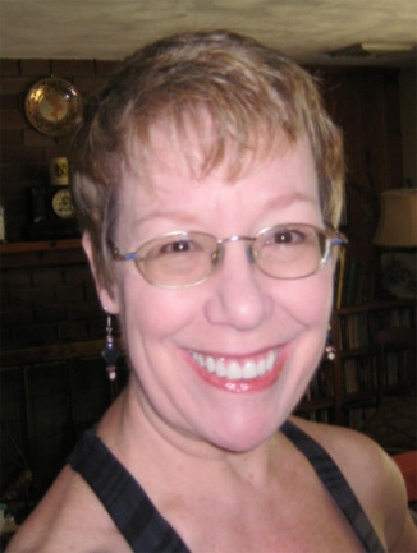 degrees, Linda also studied at Queens College at Oxford College, England and at the Iowa Writer’s Workshop. She has also worked as an arbitrator for the American Arbitration Association, has led a Writer’s Group for many years, and is a volunteer at Drumlin Farm. Linda has served on a variety of boards focusing on youth, housing, and the elderly in Lexington and Lincoln. Patrice became involved in the Power of Flowers Project through her work as co-owner and operator of the Dolan Funeral Home in Chelmsford and she believes strongly in our mission. Her firm contributes regularly to our flower supply and she brings a unique perspective to the work of the Board of Directors. She and her husband were awarded the distinction of Massachusetts Foster Parents of the Year by D.S.S. in 2004. Patrice holds a M.Ed. in education from Rivier College and served as a special educator in the Westford Schools. Additionally, she has been a fundraiser for the P.T.O., worked in her children’s classrooms and served as a Special Olympics coach. Janet is a strong civic and community leader, having been a Town Meeting Representative in Chelmsford for 28 years. She joined the Board because she “loved the idea of re-purposing flowers to make people smile.” It dovetailed nicely with her enjoyment of gardening and as Garden Therapy Chair for the Chelmsford Garden Club. A School Psychologist in Westford for many years, Janet obtained her M.Ed at the University of Pennsylvania and a C.A.G.S. from Boston College. She also sits on the board of the Chelmsford Center for the Arts and serves as Corresponding Secretary on the Board of Trustees for Congregation Shalom and as Vice President for Fundraising for Delta Kappa Gamma. The mission of the Power of Flowers Project coincides with Patrice’s passion for recycling, love of flowers, and respect for the sick and elderly. She has utilized her vast technical training and writing skills to enhance our website and finds the daily bouquet-making in the workshop to be a joyful, rewarding experience. Her 30-year career in the financial services industry includes managing documentation and training for DTCC Learning, training specialist in product training and human resources at Omgeo, LLC, and training associate at John Hancock Financial Services. Patrice is passionate about speeding the transfer of knowledge to accelerate effective change through education. Patrice has her Ph.D. in English and Rhetoric from the University of Cincinnati where she received the Charles Phelps Taft Dissertation Fellowship for outstanding graduate students to support her doctoral research. Her corporate volunteer activities include serving as a United Way Ambassador, leading the Boston Inner City Schools Partnership for John Hancock Financial Services, participating in the DTCC Community Engagement program, and partnering with Year Up to provide training in professional skills. Mary brings to the Board her leadership skills and passion for caring. She has 35 years’ experience as a social work professional. She most recently held the position of Assistant Commissioner of Adoption and Foster Care Services at the Massachusetts Department of Children and Families. She has been recognized by the Massachusetts Governor, The United States Congress, and the North American Council on Adoption for her contributions to improving adoption processes. Mary demonstrates her commitment to the Power of Flowers Project in many ways. She is always available and willing to assist in the daily operations of the workshop by picking up flower donations and making flower deliveries. Moreover, she shares her energy and ideas to support and improve our programs. After working in her family business as manager of the Alexis Pharmacy in Lowell, Andrea began as Coordinator of Volunteers, and then moved over to the Philanthropy office at Lowell General Hospital. She became a member of the Board of Directors as a further commitment to brightening people’s lives. Andrea serves as the Team Walk Manager for Lowell General, the largest annual one-day fundraiser in the Greater Merrimack Valley region. Since its inception in 2000, Team Walk has raised more than ten million dollars and supported 24,000+ patients living with cancer in the community. She has a B.A. from Wheaton College and sat on the boards of the New England Quilt Museum and Suitability – which provided business attire and assistance to women entering and re-entering the workforce. Andrea has recently joined the board of Girl’s Inc. in Lowell. 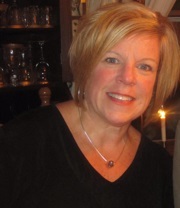 Julie Hickey graduated from Merrimack College with a BS in Accounting in 1985. She spent 10 years in sales, selling accounting software. While she raised her two daughters, she was a member of the PTO in Chelmsford and on the Board of Directors for the Co-Op Nursery school where they attended. She now works at her husband’s CPA firm. Julie has been a Board member of the Chelmsford Historical Society for the past 5 years where she is in charge of hospitality. 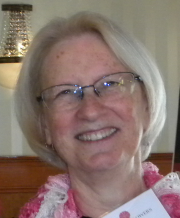 She also serves on the Board of the Chelmsford Historical Trust as the clerk, and is a member of the Chelmsford Garden Club, where she is also in charge of hospitality. 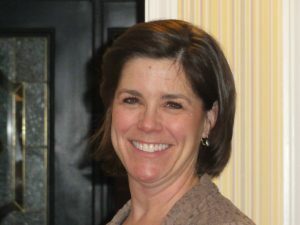 She is a member of the Tewksbury Rotary Club where she and her husband share the treasurer’s responsibilities. As Executive Director of the Brightview Concord River Assisted Living in Billerica, Maria became aware of the Power of Flowers Project when we began delivering flower arrangements to residents and she observed the impact made. “These deliveries sent lasting ripples of happiness throughout our community.” Maria has a passion for people and advocacy for those who do not always have a voice of their own. Maria previously was Director of the Family and Individual Support Program for Riverside Community Care in Wakefield. With a paralegal degree from Mt. Ida College, she also worked for the Boston firm of Harrison & Maguire. She has received a number of awards and recognitions as a Certified Senior Living Director, including The Chairman Award, President’s Club Award, and Highest Honors for Associate Satisfaction from the Certified Senior Living Commission. In addition, she has trained our volunteers to work effectively with the elderly, especially those with memory problems, in Flower Therapy Workshops which are conducted in care communities. Anne Marie, as President and Founder of Straightline Management Solutions, has assisted entrepreneurs, teams, and organizations to successfully address challenges by using the strength of a group’s passion to uncover best ideas. As a mentor in the Entrepreneurship for All program, she met our Founder. As their mutual respect developed, Anne Marie became an enthusiastic member of the Board. Having extensive experience in change management, performance coaching, education, and strategic thinking, she is most energized when developing simplified, innovative approaches to solving problems. Prior to building her consulting practice, Anne Marie held corporate positions in public relations consulting, manufacturing, and the medical device Industries, focusing on organizational effectiveness. She earned her M.B.A. from Rivier College and has been an adjunct faculty member at Suffolk University in the Graduate Program in Organizational Learning, has taught in the Boston University Corporate Education Center’s Management Development Program and the University of Phoenix. Andy is a Certified Public Accountant and sole owner of his C.P.A. business in Ayer. He became a Board member after meeting Joyce and learning about the mission of the POF Project. Being intrigued by our fine work, Andy was delighted to join the POF Board. Andy holds a B.A. in Business Administration from Merrimack College. As a result of his CPA expertise, Andrew has become especially adept at diagnosing financial situations and formulating action plans to resolve taxpayer and business issues and the many complexities in the tax and accounting realm. He has held additional positions as a C.P.A. and served as Treasurer of the Parent-Teachers Association in his children’s school for more than ten years. Michelle is the Senior Vice President and Chief Marketing Officer of the Jeanne D’Arc Credit Union, where she has worked for thirty years. She first read about the Power of Flowers Project and its mission in a Lowell Sun article and she raised awareness of our organization with the Board of the Jeanne D’Arc We Share a Common Thread Foundation, upon which she sits. Through their Give a Click program, we were the recipients of a $1500 donation from the Foundation at our first annual Spread the Joy luncheon in 2015. Upon hearing about the impact the organization makes in people’s lives, Michelle decided to join the Board of Directors as she felt the organization’s mission of service strongly aligned with her own beliefs. A graduate of UMASS Lowell with a degree in business, Michelle’s passion is giving back to the community. She also sits on the boards of The Lowell Festival Foundation and Lowell Catholic High School. She is a member of The Lowell General Hospital Team Walk Corporate Committee and the UMASS Lowell Homecoming Weekend Committee and additionally co-chairs the Greater Lowell Boys and Girls Club Golf Tournament. Jace (as she is known to her colleagues) is the Sole Proprietor of Individuals and Families in Transition: Counseling and Consultation Services. The focus of her practice lies in helping individuals and families plan, carry out, and adapt to changes occurring in the lives of older family members in a safe and dignified manner, providing resources of physical, psychological, and social support to care for them while maintaining their independence. Her mission dovetails nicely with that of the Power of Flowers Project. Grace has utilized her skills in a number of positions before starting her private practice where she interfaces with hospitals, assisted living facilities, home care agencies, physicians, attorneys, CPA’s, nursing homes, and Hospice. Holding a B.S.N. from Duke University and a M.S.W. and certification in Family Therapy from Boston University, in addition to an R.N., L.I.C.S. W., and C-ASWCM, Grace aligned her nursing, social work, therapy and teaching skills to develop a Multiphasic Screening Clinic for adults and a statewide training program for nurses in the methodology in North Carolina. Grace was a Board member and Past President of Carlisle Elderly Housing, Inc., and Past President of the Board of Directors for Belknap House in Concord. Presently she is a Director and Past president of the Friends of the Carlisle Council on Aging, a steering committee member of Advocacy to End Family Homelessness, and a Lay Eucharistic Minister of the Trinity Church in Concord. Rich is the Executive Director of Blair House Assisted Living of Tewksbury. He observed first hand the joy our fresh flowers bring to seniors. In his own words, “The beautiful flowers always seem to arrive at just the right time, such as after a resident has had a sudden loss or is ill. The gift of flowers shows all of our residents that they are thought of, loved, and cared for. Flowers are conversation starters and remind people of other joyous times in their lives when they received flowers.” These reasons enticed Rich to join the Board. Obtaining a B.S. in Business Management from Quinnipiac University, Rich first worked for Benchmark Senior Living. He is the recipient of the 2013 Merrimack Valley Business Magazine’s Top 40 Under 40 Award. Richard is a member of both the Merrimack Valley and Lowell Chambers of Commerce, and the Massachusetts Assisted Living Association. Kali is a freelance graphic designer, copywriter, and webmaster. Assisting a friend with a flower donation pick-up in 2010, she was thoroughly charmed with the concept and hands-on involvement and has been a very active volunteer and board member. She began her career developing and running statistical analysis programs for Price Waterhouse and also has been employed by Harold Leventhal, the American folk music manager. Subsequently, her skills were contracted to M/A-Com, Spire Corporation, and the Potpourri Group before she became a web technology specialist at Curriculum Associates. She has worked in web development for iMaptools, DM-Stoneworks, Books by Ferro, and the Westford Chorus, among others. Kali is also active in the West Chelmsford United Methodist Church choir.